12kV overhead power distribution line by line or at the end of a T user internal is at fault, because its into line switch time limit and substation protection operation qualification switch protection with the timing is not reasonable time limit, will cause the transformer substation outlet switch trip. If a fault nature is permanent, the substation coincidence will not succeed, it is a medium voltage users in local accident will make the whole 12kV power article distribution circuit. If the T abrasive-cloth adhered or client (responsibility the boundary) installed a outdoor boundary circuit breaker, after judge identify users in fault (flow, short circuit, such as one-phase ground fault), automatic fault isolation, can ensure that the fault zone users normal power. 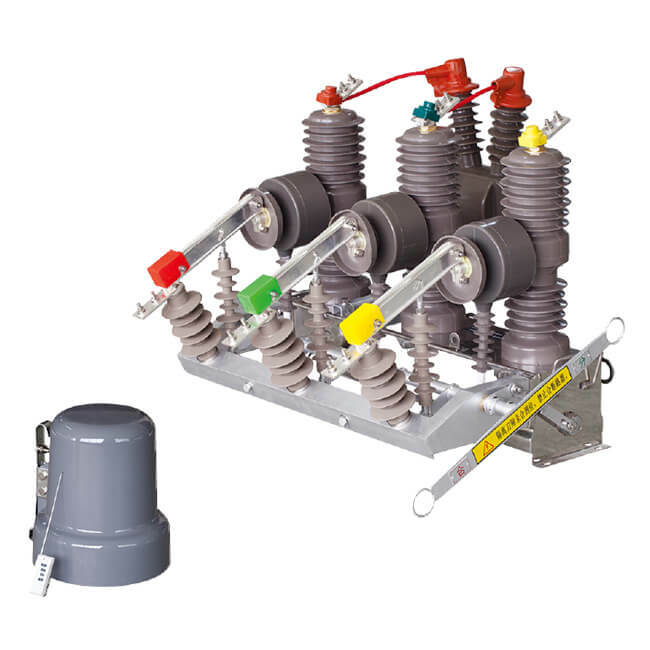 ZW32BF-12 outdoor boundary circuit breaker in 12 kV feeding on the application can avoid aerial without the joint line of power, power fault accident narrow scope, shorten the time, protect power users of the main safety operation. And has the function of fault detection, protect control function and communication function, can realize the automatic resection phase-to-ground fault and automatic isolation alternate with short circuit faults. Installation points suitable for 12kV power distribution lines into the responsibility of the user in the boundary line, can be applied to meet the requirements of the joint branch line.